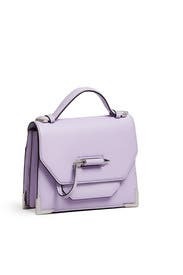 Signature arrow hardware highlights the chic, sophisticated structure of this means-business satchel by Mackage. Also available in Ocean, Leaf Print, Petal, and Paprika. 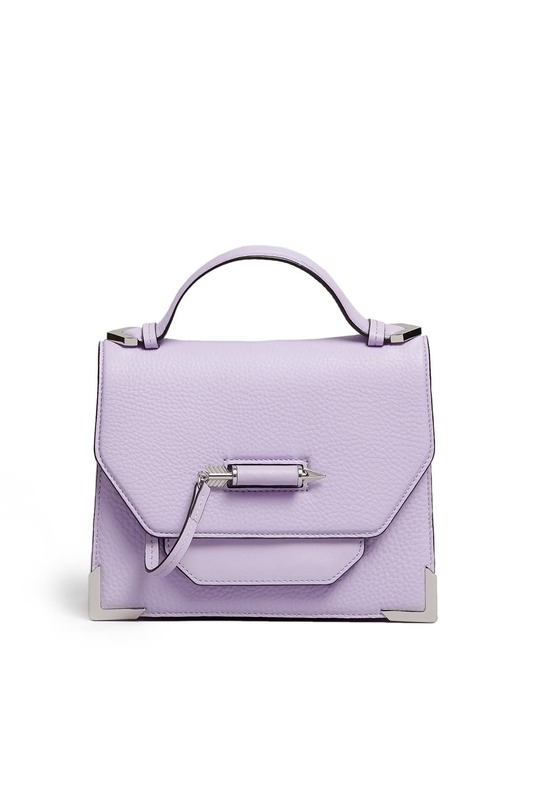 Lilac pebbled leather satchel with shiny nickel signature hardware and arrow lock closure. 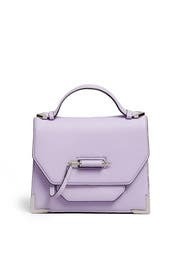 Hard top handle and adjustable crossbody strap. Dual compartment interior with integrated inside pocket with card slots. 6.75"H x 9"L x 3"D.